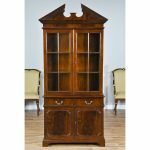 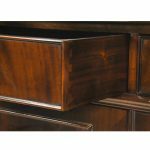 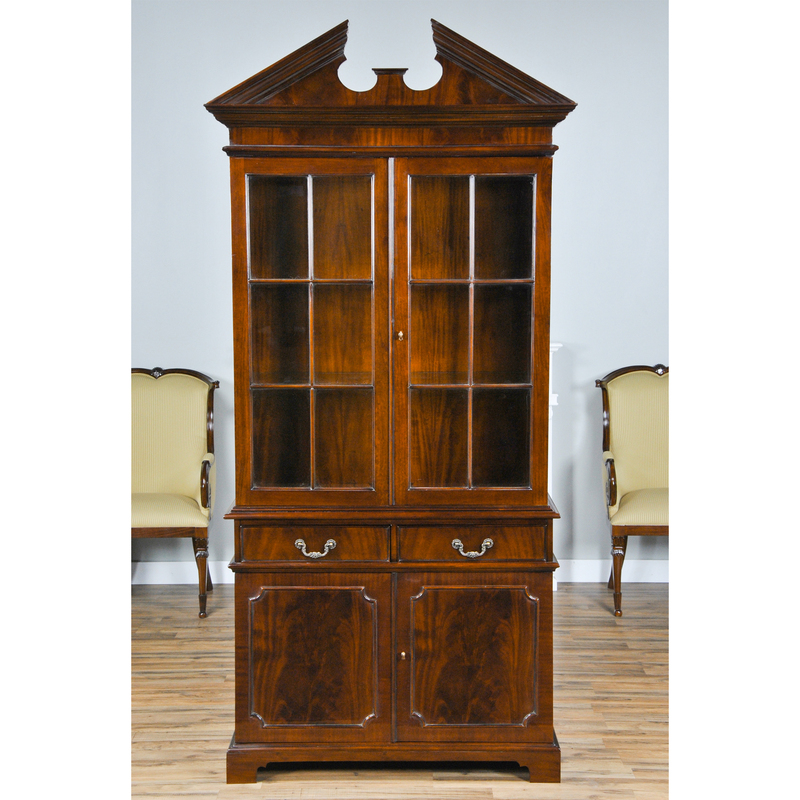 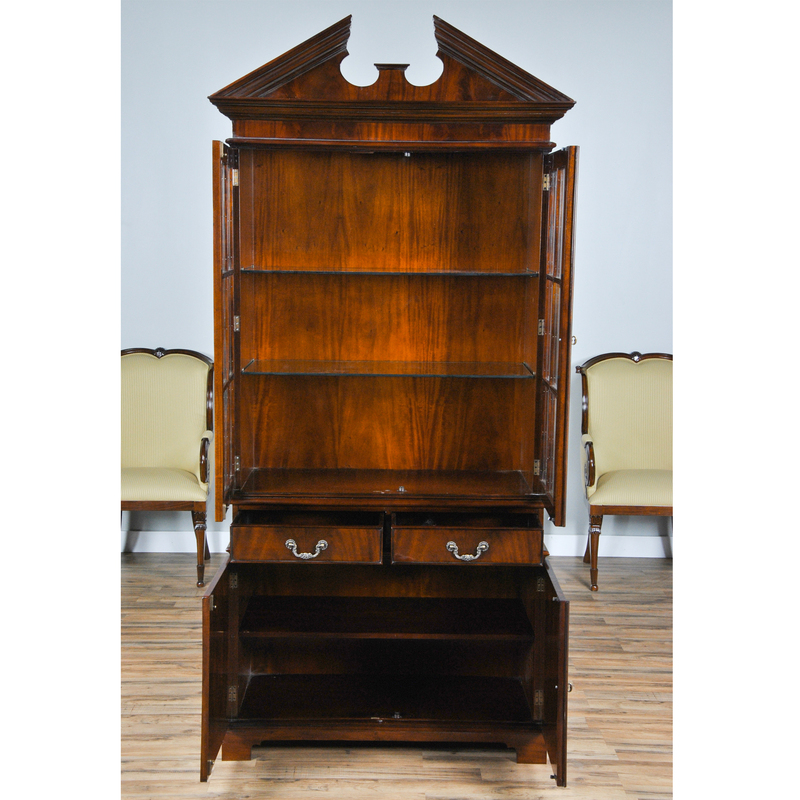 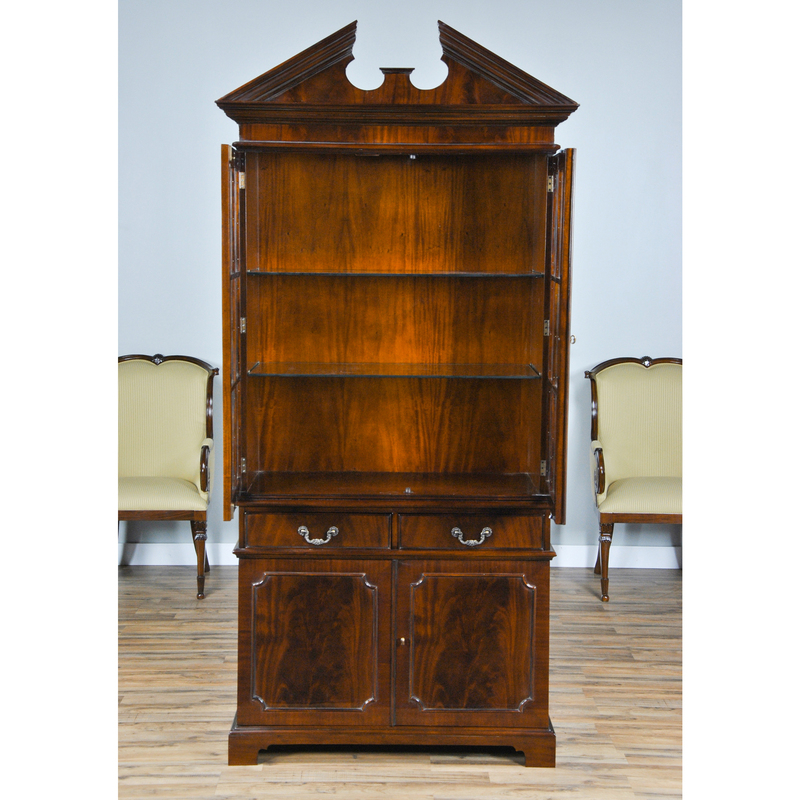 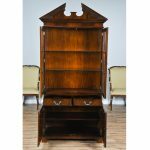 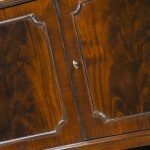 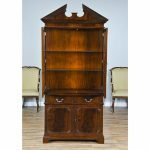 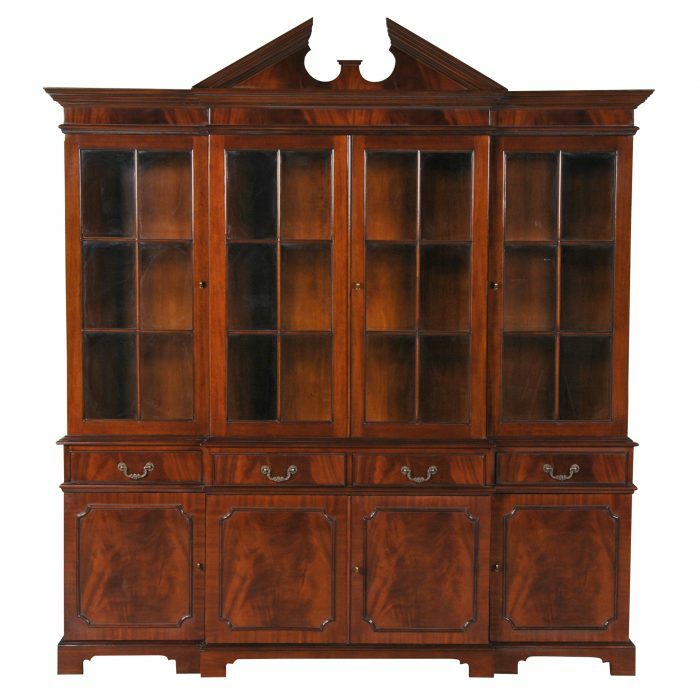 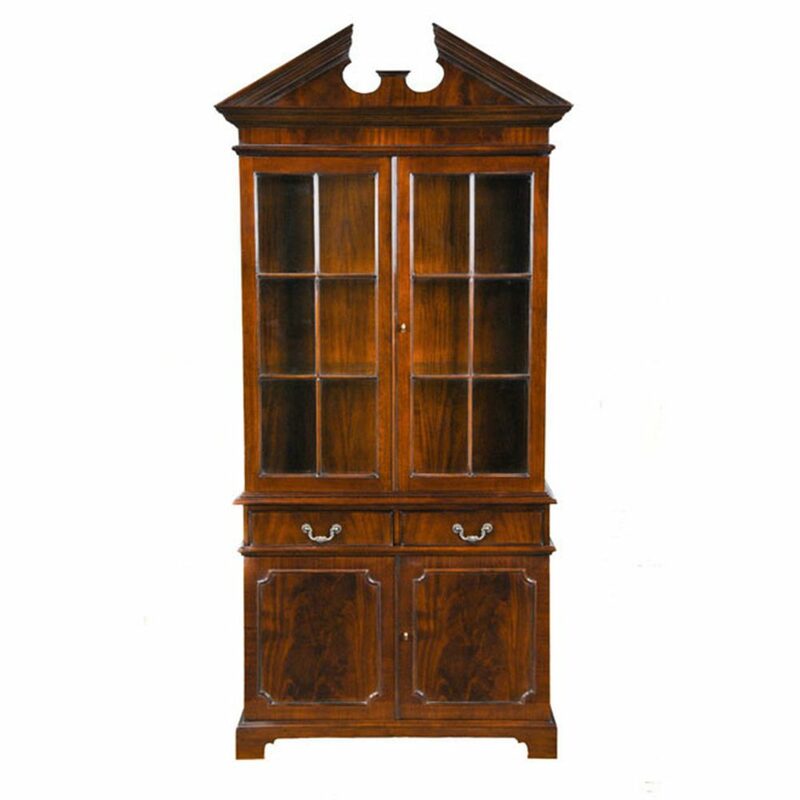 Ideal for narrower spaces this Two Door Mahogany China Closet by Niagara Furniture can fit when our larger cabinets cannot make it between a set of doorways, windows, radiators, etc. 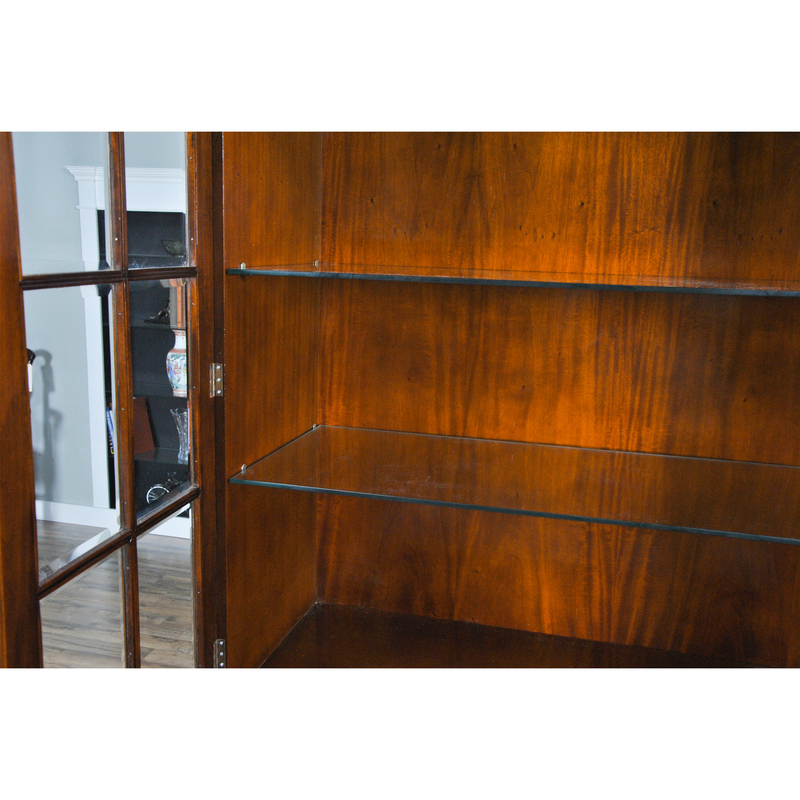 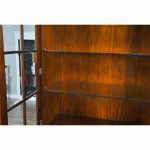 Thick glass shelves in the upper section allow light to penetrate and help show off your valuables while the lower section comes with a wooden shelf for additional storage. 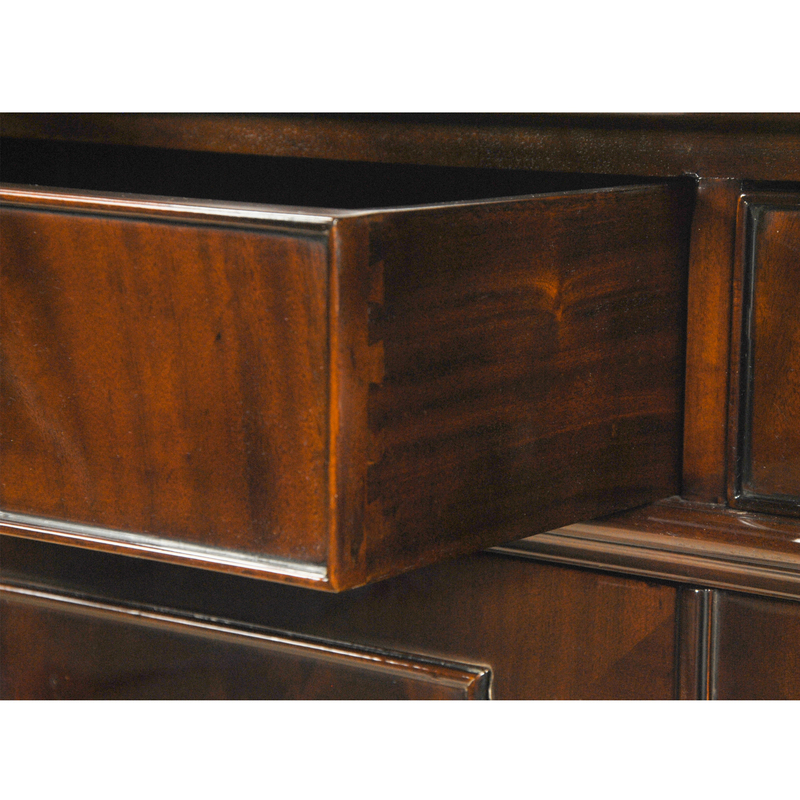 Removable crown pediment allows for use in lower ceilinged areas. 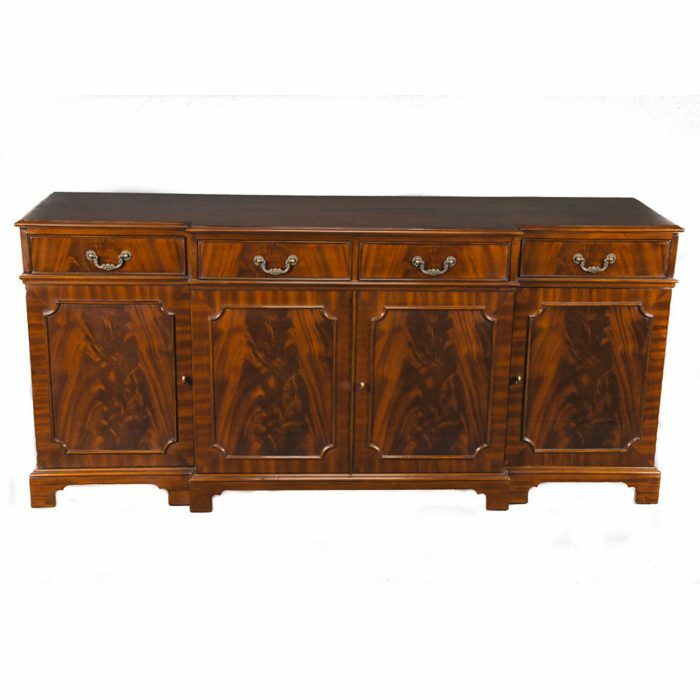 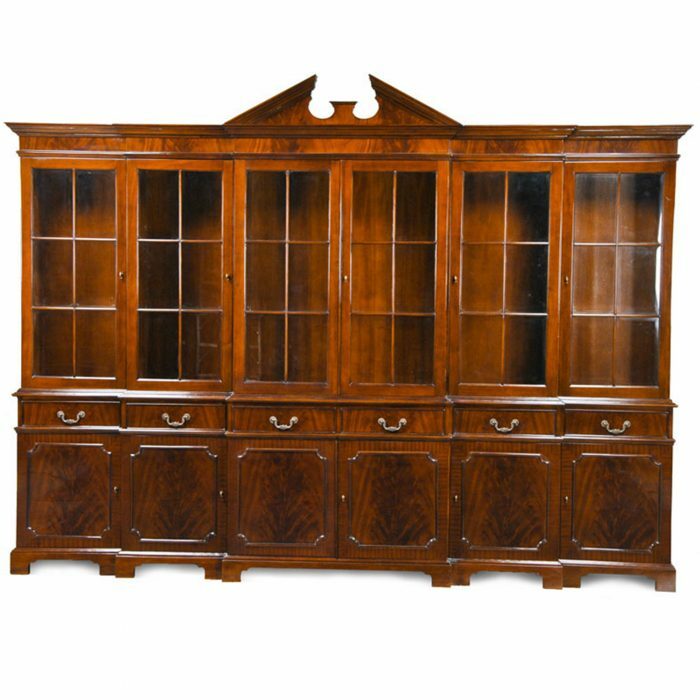 Two part construction of theTwo Door Mahogany China Closet allows for ease of shipment and handling and installation.